I’m constantly on the lookout for new music for me and for my kids. 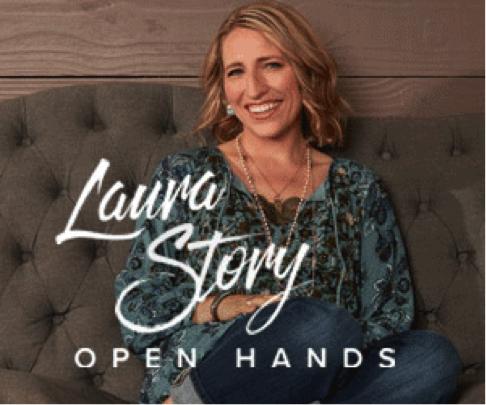 So, I was excited when I got to review Laura Story‘s newest CD, Open Hands for free. I love Laura Story’s music and this CD was no exception. The music is beautiful and relaxing. Both me and my children love listening to it. It’s the perfect music for listening to any time. Throughout the Bible, there are countless stories of ordinary people whole-heartedly attempting to live a life fully surrendered to God’s unique calling on their lives. 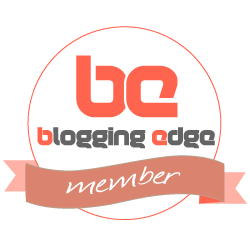 More than once, God asks people of faith to relinquish control and simply trust Him. 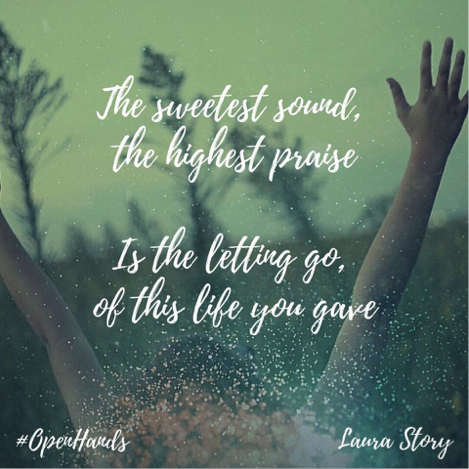 Open Hands’ fresh collection of originals blends Story’s signature congregational worship with intimate moments. A parade of A-list songwriters, including Matt Redman, Matt Maher, Mia Fieldes, Hank Bentley, Sarah Hart and Seth Mosley, among others, pepper the album’s 11 tracks. 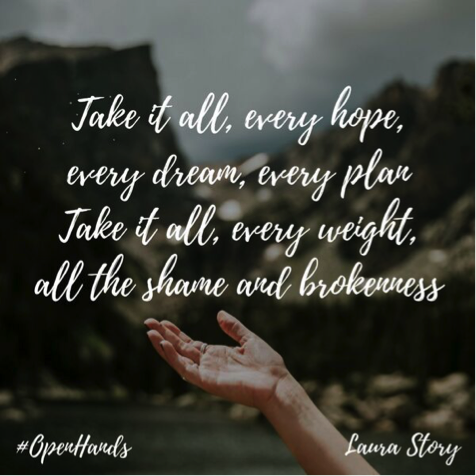 As part of my review, I also get to give away one copy of Laura Story – Open Hands CD. I think that I would enjoy “You Came Running” the most.